It’s been a bittersweet two weeks for fans of enticing virtual reality content. Last week, Facebook shuttered its award-winning content creation team, Oculus Studios. This week, Google acquired the team behind Job Simulator and Rick and Morty: Virtual Rick-ality. If you’re a VR headset owner you win some, you lose some it seems. While neither Owlchemy or Google announced what’s coming next from the development studio, acquisitions such as these give developers the resources they need pursue bigger and better projects – sometimes in exchange for platform exclusivity. That said, Owlchemy might be different. The post on Owlchemy Labs’ site that talks about the announcement specifically mentions that the developer will continue to create “high quality VR content for platforms like the HTC Vive, Oculus Touch, and PlayStation VR.” That means platform exclusivity isn’t something the team is beholden to. Or at least not beholden to yet, anyway. What does the future hold for the studio? 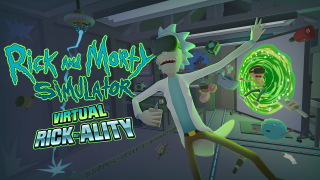 Well, One possibility could be a second experience set in the Rick and Morty universe – though Google will likely focus Owlchemy’s efforts on something more … family appropriate. Job Simulator 2 or the next VR Adult Swim game might not replace a sequel to the heartfelt, Emmy award-winning Henry ... but it’s a nice consolation prize.